Seamless 13 gauge knitted nylon liner with PU palm and finger coating providing excellent dexterity. Conforms to EN420, EN388. 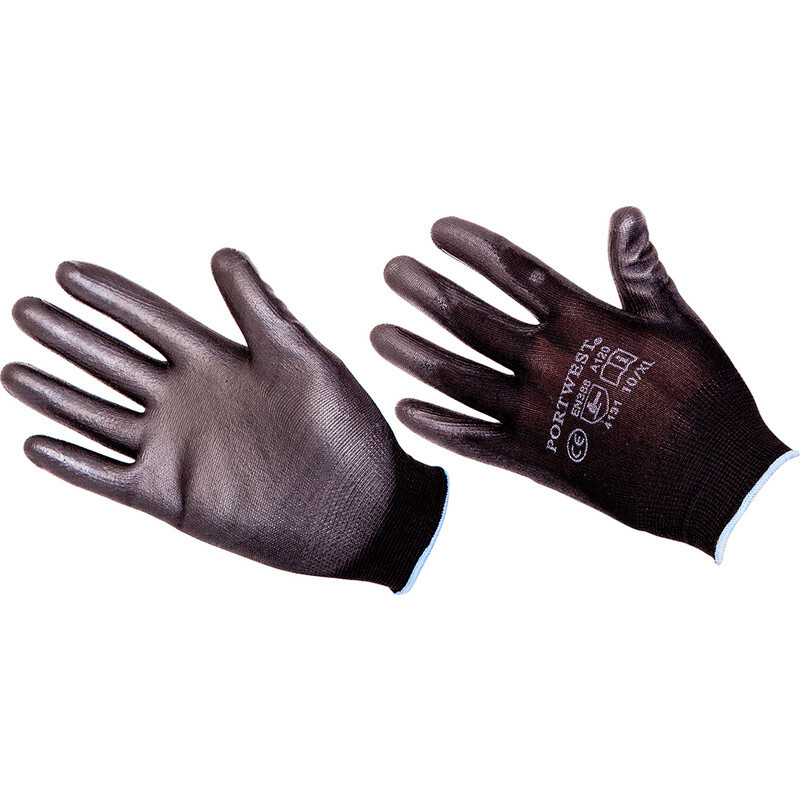 Palm Gloves XLarge is rated 4.4 out of 5 by 53. Rated 4 out of 5 by DR D from Good cheap gloves Fine for light work but will tear if handling block etc. Rated 5 out of 5 by Old Man T from GOOD FOR THE PRICE Bought these as back up for my current pair but the latter pair are still in good condition. Rated 5 out of 5 by EXTREMEDIYer from Great value.... come in a small size also Great they have a small size, not many gloves come in small. That limits my choice, but these are cheap and do job as well as I could expect for the price. Will buy again. Rated 4 out of 5 by Classic car restoration from XL is rather small Good general workshop glove, but a bit on the small side for an XL. Rated 4 out of 5 by Ap67 from Great to be able to get in small size I bought these gloves a month or so ago for my wife. We always struggle to get small work gloves for her so this wasa good find.